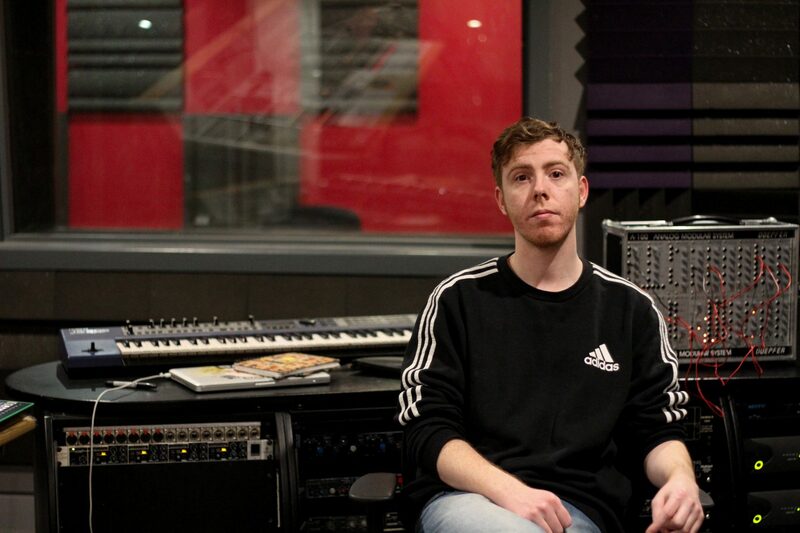 Specialising in creative composition and electronic music performance, Aaron Turner currently works as an Electronic Music Production tutor at Spirit Studios. 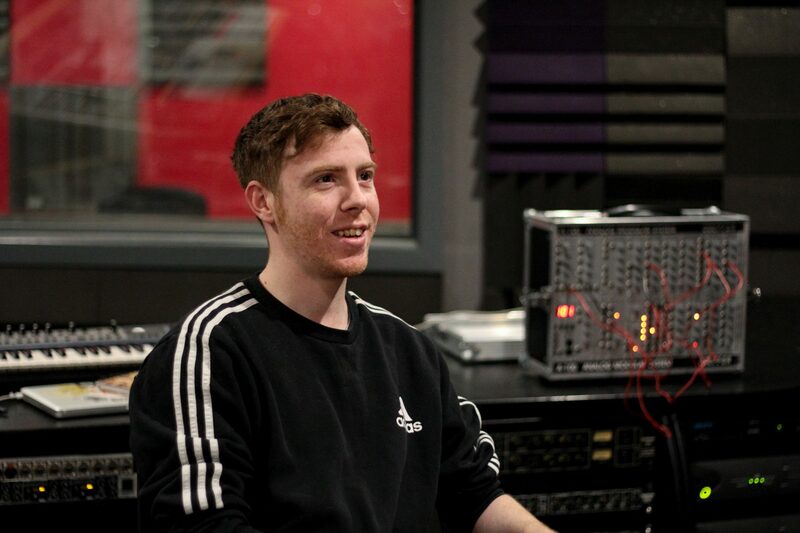 From producing his own music under the alias, Perfume Advert to a regular slot on NTS Radio, Aaron has his finger firmly on the industry’s pulse. So, Aaron, taking it all the way back to the beginning, how did you first get into the music industry? I’ve been making music with software since I was a teenager. Back then, I had 4 separate SoundCloud accounts for all the different styles and genres I was working with; Hip-hop, Garage, House and Techno. From there, one of the accounts was picked up by Rich McFarlane – a Canadian guy who was starting up a record label, 1080p. After it was picked up, I decided to pair up with my mate, Tom Brown, and later had our tracks released on the label. So, would you say this was the start of your outfit, Perfume Advert? Yeah, definitely. We came together through our love of weird music, and both bring something different to the mix. To begin with, I would create the beats and Tom would create the texture and melodies. Now, we seem to cross over and swap roles a lot of the time. And, when we perform together, we literally take our bedroom out into the club. Perfume Advert – an usual alias name, for sure. We have to ask, where did the idea for the name come from? We get this quite a lot, actually. It’s kind of a play on the mid-2000’s Paris Hilton, socialite culture which was tacky and trashy. Moving onto your sound, how would you describe your music? It changes every month, I guess. Our first release sounds nothing like our current stuff because we are constantly moving. When we first started out, our music was very textural House music, rather than big chords and synths. However, we also do a lot of Garage music with swung drums and big chords. But, if I was going to summarise it as a genre, I would say we have quite a Dub-Techno style sound palette. We draw inspiration from a lot of literature, games and books. Before writing our first record, we were reading a lot of J.G. Ballard, at the time. In fact, our first album is a homage to his book, Drowned World. I always feel I get more out of these different types of media, as opposed to just listening to music. Sometimes, just drawing from other music can lead you to copying different sounds. You guys have a real, distinct sound. What sort of hardware do you use to make your tracks? In 2012, I bought a Korg Electribe ESX1 drum machine sampler, which totally took me away from software for a while, and has completely changed how I make music. Tom, on the other hand, uses an Elektron Octatrack, Elektron Digitone and a Tanzmaus drum machine. Saying that, our setup has changed quite a lot since we started. To begin with, we both used Ableton Live and synchronised our sessions. For live performances, we used to take a lot of gear out with us, such as; drum machines, mono synths and external processors. But, it was far too much to think about during a live performance. Now, we’ve completely pared down our setup. For a live set, I’ll only use one machine, and Tom has a small ‘3-piece’ setup, if you like. However, we both still use Ableton Live to record, arrange tracks and add all the extra bits and bobs in as well. In terms of making your tracks, would you say you have a creative process? I guess so. Personally, I spend a lot of time making systems which allow me to make tracks more easily. I don’t spend a lot of time writing tracks because the more time I spend on it, the worse it gets. For me, if there’s nothing cool happening in the first couple of hours, I’ll scrap it and move on. One of the things I teach my students is, if you make a system which allows you to make music, rather than trying to re-invent the wheel every time you make a track, then you’ll get a more cohesive sound. Aside from your gigs, you’ve had some airtime on NTS Radio, too. How did you get into that? Yeah. We managed to get a one-off show in 2016, and then ended up doing a regular show. We share the duty and go back-to-back with other music producers, for a monthly show. You talk about your sound changing. But, as an artist, how do you keep up with an industry which is constantly changing? It’s really hard, in particular, keeping yourself relevant. It’s hard to keep up with the trends, and as an artist, know what’s cool. In fact, keeping your ear the ground becomes part of the job. I use NTS and official music blogs to keep up to date with everything that’s going on in the industry. However, I don’t think you should always change and re-invent yourself just to sell records. Some great advice, Aaron. We look forward to seeing what you get up to next!